Taylor has attempted to stay neutral while other parties engage in procedural volleys in this and other ancillary litigation in state court and parallel litigation in federal court. Without question, the subject of this and the various related litigation involves substantial sums of money and affects hundreds if not thousands of individuals. The various litigation is subject to intense media scrutiny, strong emotions and unbridled speculation fueled by bloggers and an uninformed public. The Financial and Compliance Audit Division, the largest division in the agency, is divided into five sections: Education Audit Section, State Agency Audit Section, County Audit Section, Electronic Data Processing (EDP) Audit Section and Report Processing Section. This division is responsible for conducting and overseeing audits of public entities. The audit and inherent risks contained in the County audit is at owned hospital component units for those counties that have them, as they are magnitudes larger financially than the primary government. They have also been allowed to operate in secret by law, which is a red flag in my opinion in terms of fraud risk assessment. As a matter of Governmental GAAP, this would be one of the basic reasons GASB 34 (now GASB 61) was promulgated as the overall financial risk would lie with the larger entity, oftentimes a “component unit” whose failure would cause far more financial carnage than the failure of the primary government. We’re seeing this play out over in Jackson County right now. Currently in Mississippi, the Auditors office allows the counties to not consolidate their component unit hospitals, Forrest Co and Jackson Co being two examples, with the OSA or private county audit firm expressing adverse opinion on the component unit column of a multi-column financial presentation. The opinion is so complicated as to be next to worthless to all but the CPA practitioner community and lawyers. To the extent the taxpayer backed financial guarantee related to their hospitals at the county level is material to the Primary government and unrecognized, County auditors are skating on very thin ice from a liability standpoint with such a presentation, which I would argue is fundamentally misleading. I would hope the gang up in Jackson would be having this discussion internally but based on an Anita Lee story from a few months back my guess would be no for reasons I will not elaborate upon. I’d be happy to be proven wrong there. Back to SRHS and the compliance department. 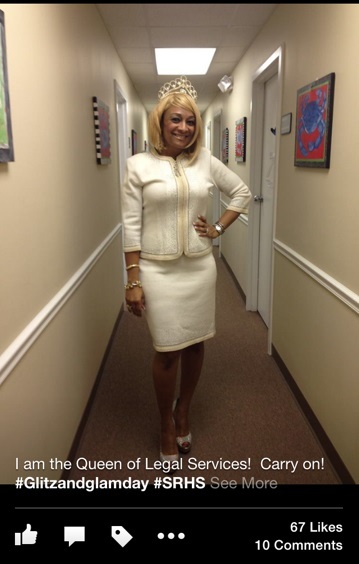 Stephanie Barnes Taylor was the Chief of Legal Services and the Compliance Officer for SRHS until 2014.